One of Olivera Homes finest examples of form and function is now available to purchase in The Preserve at The Club at Eaglebrooke. Situated on the highly desirable Eagle Ridge Way "loop of this 4 star rated gem that is Eaglebrooke, this exquisite residence with almost 6000 feet under roof has it all. 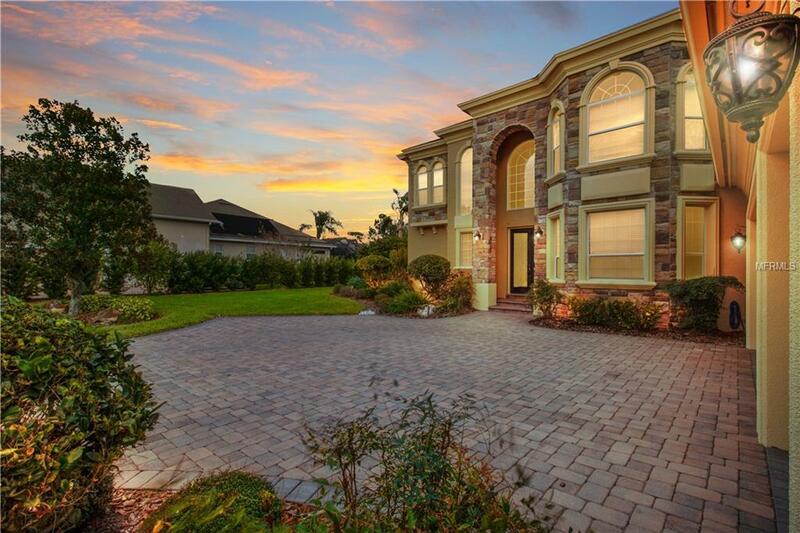 The front elevation showcases the two-story entry, the beautiful stone and trim features and the paver brick courtyard. Inside, a stunning two-story foyer over 20 feet tall separates the elegant downstairs owners suite from the spacious gathering areas and gourmet kitchen with butlers pantry and formal dining room. 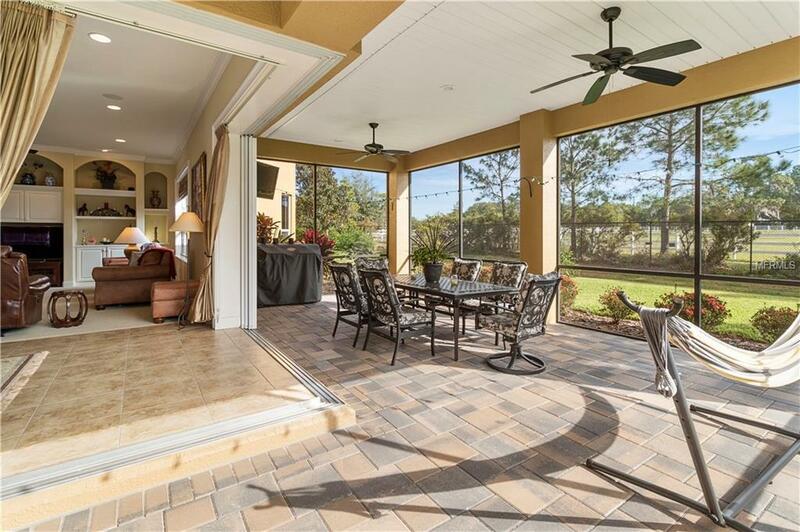 The 90-degree patio doors disappear and bring the outdoors in and make the generous paver brick verandah part of your living space most of the year. The interior finishes are exceptional with tall ceilings on both levels, extensive millwork and built-ins, beautiful lighting and fans, custom wood cabinets & granite in the kitchen with island and all baths. The second level will not be outdone and features 11 foot ceilings, 3 bedrooms featuring bench seating and walk-in closets, laundry chute, 2 bathrooms, loft bonus area and a jaw-dropping Gameroom/Pub with adjoining theater room only the pictures can adequately describe! The view from the second level patio is amazing. This freshly painted home also features whole house audio and home automation capability. 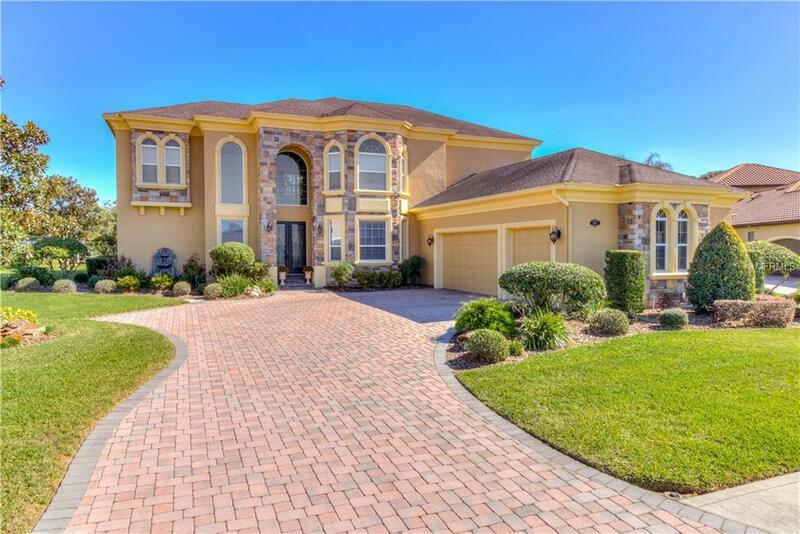 Located in Lakelands finest 24 hour guarded and gated Country Club community and our most requested Southeast quadrant. See it today! Amenities Additional Fees Verify Any Specific Questions To Hoa Manager (Joanna Likar At 863-701-0401 Manager@Eaglebrooke.Net) See Membership Services To inquire About Fees For Use Of Pool/Tennis/Golf.